This collection includes Ivey & Crook residences located in the beautiful Druid Hills neighborhoods around Atlanta's Emory University. Ivey & Crook were responsible for the design and construction of almost 40 buildings on the Emory campus. 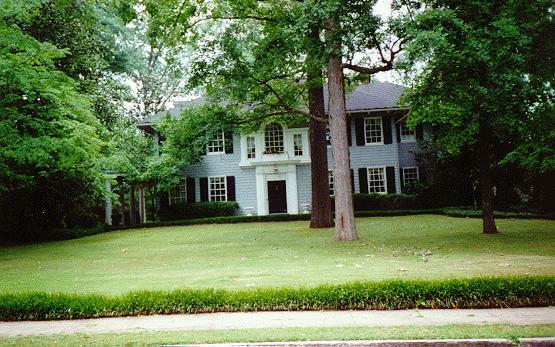 Job #221, built for John H. Candler in 1929, one of three Crook designs on Atlanta's historic Lullwater Road, and another home built for one of Coca-Cola founder Asa Candler's sons. Job #112, built for Mrs. Morris Eiseman in 1923. This home was once inhabited by the real Miss Daisy, from the movie, Driving Miss Daisy. Actually, her name was Mrs. Lena Fox, and her grandson, Alfred Uhry, won an Academy Award for the screenplay adapted from his play. I understand that the character in the movie was inspired by both his grandmother and his mother, but nevertheless, all three of them lived in the house for many years. Job #678, built for George S. Morris in 1963. Located just north of Emory, the house is approximately 3,000 square feet and features 5 bedrooms and 3 recently-renovated bathrooms. Interestingly, if you lived in this home and had a high-school age child and wished for that child to reap the benefits of a public education, your child would attend Druid Hills High School, yet another Buck Crook design! And if you were a Baptist, you'd be just around the corner from another Crook creation: Peachtree Baptist Church! Job #142, designed for S.J. West in 1925: this is one of my favorites because it looks so happy. In September of 1997, I received a lovely letter from Kelley Peace, a former owner of the home. Four years later, Henry Hibbert, the current owner, sent me another one. Job#130, for Mrs. Nathan Bodenheimer in 1924. In that year, the address of this house was 1436 Fairview. Since that time, the street numbers shifted. For a time, I mistakenly attributed the house currently at 1436 to my grandfather, but I now know that it was designed by his mentor, Neel Reid. Job #394, designed for J.L. Morris in 1941. 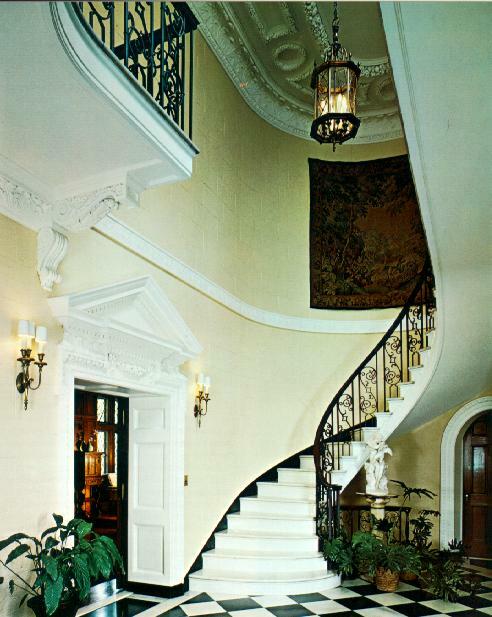 Personally, my favorite Crook-designed homes are his most distinctive -- those in which he combines traditional, classical elements in such a way as to create a unique and fresh result. I like the symmetry of this house. It's well-balanced. Job #162, built for Paul Fleming in 1926. This large home sits right in front of the Fernbank Museum of Natural History, the second home east of Clifton Road, across from the Druid Hills Country Club. 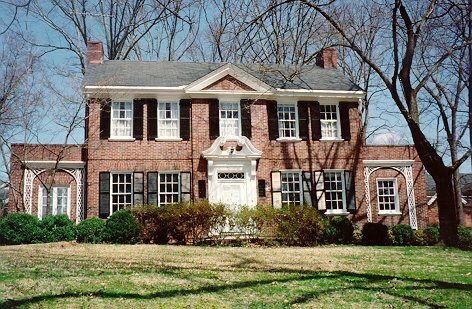 Job #173, at the corner of Springdale Road, was built for Mrs. B.E. Brooks in 1926. The house is hard to see because of the landscaping, in both the front and the back yard. Job #125, designed for Dr. and Mrs. Hal Miller in 1924, is another of Crook's forays into the Italian Renaissance. 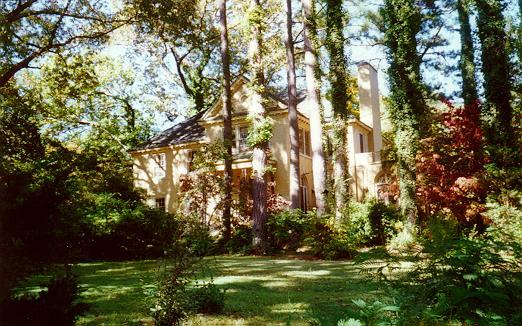 Job #123, built for Mrs. Charles A. Bickerstaff in 1924, one of three Ivey & Crook designs on Atlanta's famed Lullwater Road.